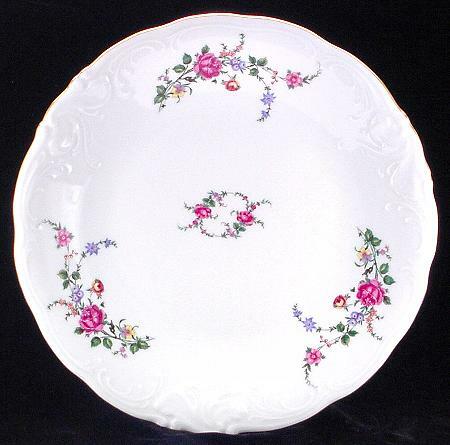 Fine china round platter made in Poland by Wawel. An impressive way to present your holiday feast. Large round platter - 12 inches in diameter. Features the Rose Garden pattern. Hand-painted with gold trim.